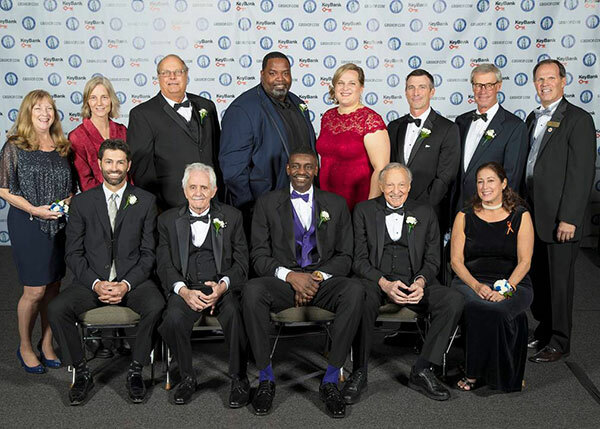 The Greater Buffalo Sports Hall of fame inducted the class of 2017 on November 1st in a gala event at the Buffalo Niagara Convention Center. All of this year’s inductees were in attendance, along with family members of the sports heroes who were inducted posthumously. This event marked the 27th class to be inducted into the Hall of Fame since its inception in 1991, bringing the total of inductees to 315. Watch playback of the entire ceremony online. Thank you to all who attended to support and honor our inductees for their many sporting accomplishments and commitment to the community.